Marvel Heroes & Disney Princess Toys In Select Kinder Surprise Eggs! We received some "EGG-cellent" news in our household recently: that I'm one of the newest Kinder Moms! WOO-HOO! There was great rejoicing amongst my kids, husband and I as we whooped for great times to come and chocolately Kinder Surprise eggs! You must know foil-wrapped Kinder eggs: milk chocolate on the outside, silky-lined white chocolate on the inside, and a small child's toy inside the hollow of each and every one! My Cute Kinder Mom Badge! Of special interest, Kinder Eggs are peanut-free! In my childrens' school district, only peanut-free lunches and snacks are allowed in the classroom, as there are many kids with severe peanut allergies. As a result, I find that offering a peanut-free choice in birthday party loot bags and at Halloween is very important. 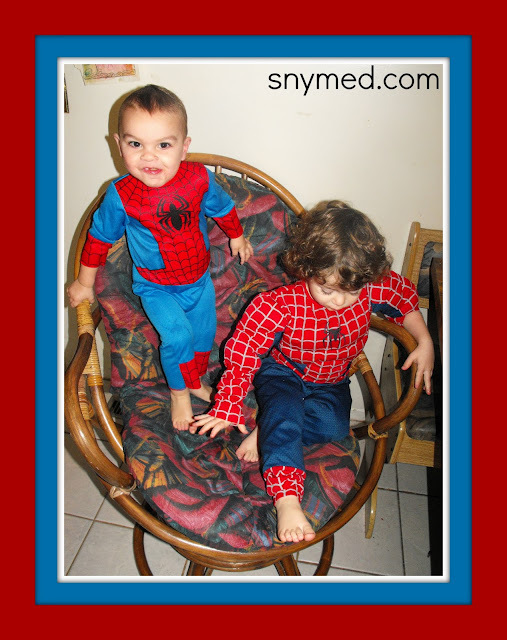 The Spiderman Brothers to the Rescue! With Marvel Heroes & Disney Princesses! So my boys went understandably nuts when we found out that Kinder has partnered up with Marvel Heroes! Two in three eggs within specially-marked Kinder Surprise packages will contain a Limited Edition toy! Limited Edition toys include Spiderman, Venom, Goblin, Ironman, Hulk, Captain America, Loki, Lizard, Wolverine, Thor, and a Flying Jelly toy! Check out the toys, below! 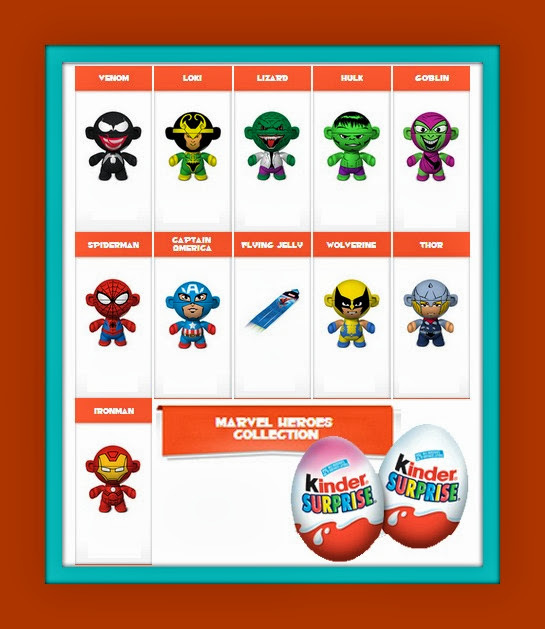 Kinder Surprise Marvel Heroes Collection 2013! Out of five children, I only have one daughter. People always assume that she's my last one, but she's actually my second child. My daughter was born a girly girl and was obsessed with Sleeping Beauty (Princess Aurora) for many years. 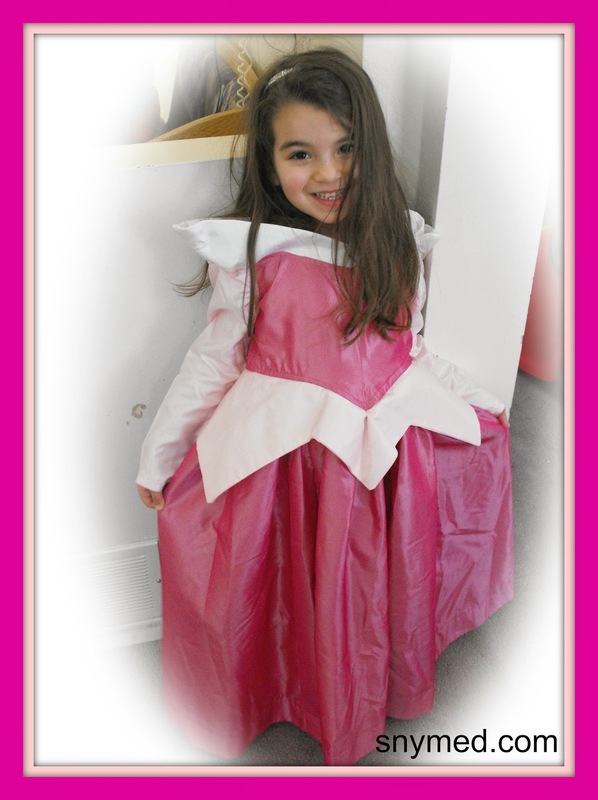 In case you don't follow princesses, this is the princess with the dark pink dress. For her 4th birthday party, my daughter had a Disney Princess birthday party with a Disney Princess birthday cake and decorations. She was in heaven! Her Royal Highness Princess Aurora! To the delight of little girls everywhere, Kinder has also partnered up with Disney Princesses! Two in three eggs within specially-marked Kinder Surprise packages will contain a Limited Edition toy! Limited Edition toys include Ariel The Little Mermaid, Cinderella, Princess Jasmine, Snow White, Rapunzel, Princess Aurora, a toy princess bracelet and a toy princess lock! Check out the toys, below! 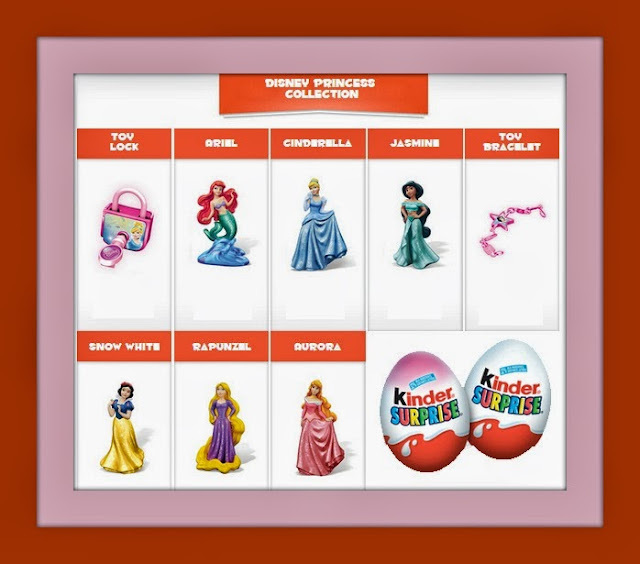 Kinder Surprise Disney Princess Collection 2013! CLICK HERE TO SEE MORE OF THE 2013 & 2014 KINDER SURPRISE EGG TOY COLLECTION! 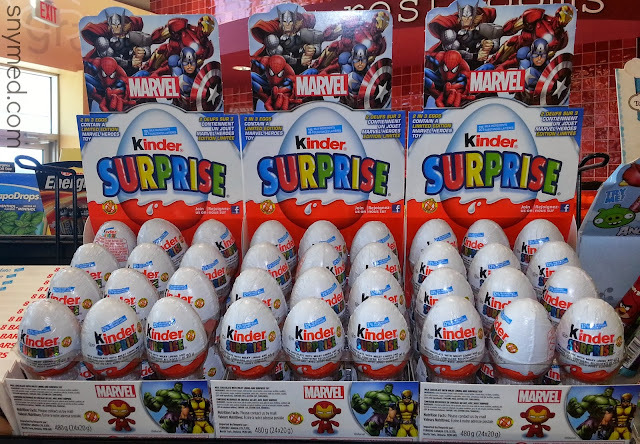 We found a great display of Marvel Heroes Kinder Surprise eggs at our local supermarket, below! If your child is collecting these specific toys, check that the display shows the Marvel Heroes. These eggs also have white-coloured foil on top of the eggs, as opposed to the girls' eggs which can be identified by the pink-coloured foil on top. I love this colour-coding system, so the toys literally find themselves in the right hands! A Chocolately Peek at Marvel Heroes Kinder Surprise Eggs! 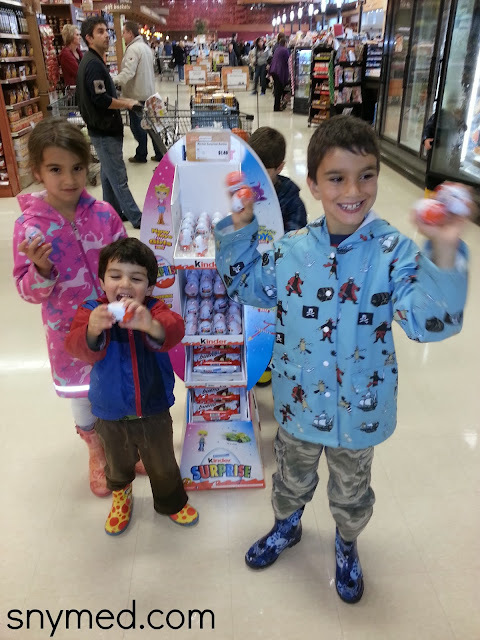 Does your child or grandchild enjoy Kinder Surprise chocolate eggs? Would he or she enjoy the new Disney Princesses or Marvel Heroes toys inside? My son is going to flip when he finds out that kinder has Marvel surprises inside. He loves the whole comic book gang, especially spiderman and superman! this is awesome! My daughter should have been born a boy! Shes gonna flip when she finds a spiderman in her egg! Congrats on the op! WE love kindersuprises in our house too! My boys are going to love the Marvel addition! I am so excited they have superhero eggs now! My son is going to love them! Another KinderMom here! We are super excited about these eggs - KinderMom or not - we would be buying these! My daughter LOVES the kinder toys. She has a little collection that she plays with almost every day. And since she is a princess she is going to be thrilled about the new Disney Princess toys! My teens still love Kinder eggs! You're never too old! Love that they are peanut-free! My son has a peanut and tree nut allergy so finding treats for him can sometimes be difficult. Who doesn't LOVE kinder eggs.. All my nieces and nephews and both my kids FAVE! That is Eggsellent news! Congratulations! My kids all loved Kinder eggs when they were growing up, my youngest daughter especially. She still loves them and she is now 22 lol Its nice to see that these are officially nut free! Those are the cutest little things! My granddaughter has a couple now, but we have to keep them from the dog so he doesn't eat them! Your kids are adorable! 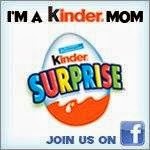 Congrats on being a Kinder Mom! Your kids are so adorable! Congrats on being a Kinder Mom! We love Kinder Surprise chocolate eggs! It's so awesome that Kinder came out with these collections. btw, awesome costumes! I had the Cinderella costume when I was a kid. Are these Marvel eggs still available? We live in the US now, but will be visiting Canada in a couple of weeks, and my 3 year old desperately wants these eggs for his birthday! Lori, I believe that the run is over for the Marvel Heroes Kinder Eggs. They change their toys regularly, and it's a different series now. My 7 year old son collected the whole set of star wars toys recently and already has all but 3 of these marvel ones. Kinder eggs were around when I was a child in the 70s, they make a great treat. That Aurora from the egg is perfect! It's so nice to see a new toy of her-you would not believe, as a collector, how often I've discovered that she is left out of Disney Princess merchandise. Beautiful dress, on your daughter, by the way! It doesn't get any better than Kinder with the yuumy chocolate to indulge and the cute surprise inside each one.Just ask any kid,right? All of my grandchildchildren love them. My Son's favourite treat are kinder eggs- pair that with marvel characters that's a winning combination. The only thing better would be if there were Star Wars toys or Lego mini figures inside. That just might beat out Marvel for him. Thanks for sharing.